Snaphappen was the world’s first Snapchat event & awards which took place on 22nd September, right in the middle of London’s very own Silicon Valley – Old Street Roundabout. Ginger Juice’s Helen Ellis and Valentine Calinaud went along to see what was going on and event met up with Dynamo! 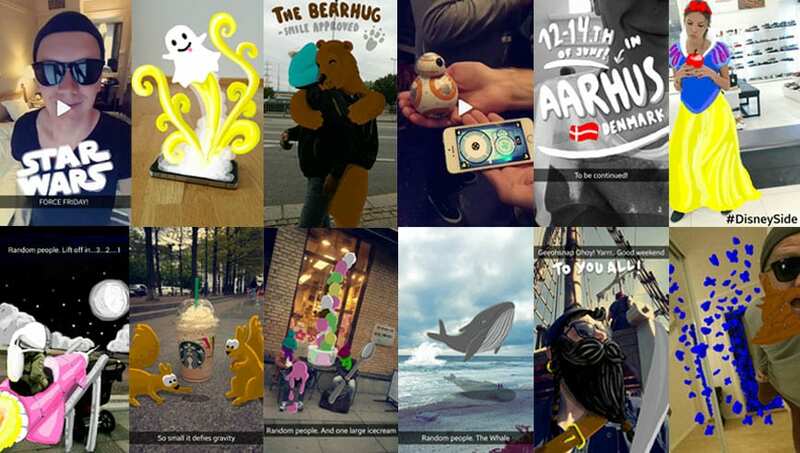 Here’s their top 5 Snapchat tips and takeaways from the event. One of our favourite talks of the day was from Norway’s very own Geir Ove Pedersen, who goes by the name of ‘Geeohsnap’. He’s the perfect example of a modern day artist; demonstrating the creative side of the social network that seems to go unnoticed by many. His followers get to see him take photos of complete strangers and alter them into witty, and amusing pieces of art. While doing he also protects the identity of the person behind the photo. “Snapchat doesn’t make it easy for its creators. 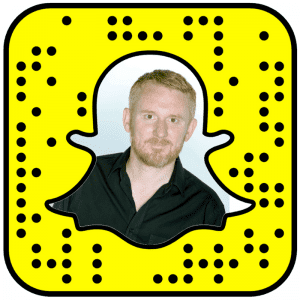 It’s full of limitations and obstacles that we have to overcome, like 10-second video limits and viewers tapping through your stories,” said Snapchatter Tristan De Burgh, a professional Snapchatter whose worked with brands like Disney and Coca-Cola. Yes, Snapchat has limitations. But these limitations force you to be creative. This is actually the perfect app to put your creativity into practice as it is more open than Facebook, Instagram or YouTube. The combination of geofilters, videos, images, emoji’s, artwork, and text present a unique way on how you can tell a story. Snapchats rough-cut style gives a story a very real feel, unlike hyper edited YouTube videos. Smaller numbers on Snapchat? Who cares! Compared to Twitter, Facebook and Instagram, having a smaller audience on Snapchat isn’t always a bad thing. Shonduras, (pictured above, far left), one of the very first well known Snapchat influencers explained he’d prefer to have 10,000 loyal viewers than 100,000 part time viewers. This is purely because of the app main feature… Disappearing stories. The stories only last 24 hours, so people are going to make sure they see it before it’s gone forever, were as on Twitter a tweet can come and go without your audience even realising you’ve tweeted. There was a little break in play from solely just talking about Snapchat when viral sensation Julius Dein took the stage. Dein explained how going viral on Facebook was down to two reasons… Good strategy and good content. Sharing is almost certainly caring on Facebook, the more shares your post gets the more people will see your content. 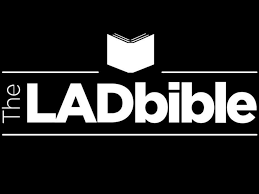 Dein went on to explain that contacting pages like The Lad Bible, The Wall of Comedy is an absolute must. Yes, this won’t be cheap but they all have an astronomical amount of likes and a high rate of engaging followers. One example Dein used was that he shared a video from a page that had 0 likes and only a few days later this page went from 0 likes to over 30,000. Proof that sharing is caring! One thing that really stood out to us throughout the event is when any of the influences were asked if they see Snapchat becoming another Myspace or Hi5, they all confidentially said that Snapchat isn’t going away. With 200 million users, 10 billion video views daily, an established position of most active social media behind Facebook, a brand adoption exceeding Twitter and Linkedin, Snapchat, newly described as being “Twitter and Youtube at the same time but better”, is definitely powerful and is getting bigger and bigger every day. In fact, Snapchat is only going in one direction and with new features rumoured that direction can only be UP!